Leslie Oh has been making digital collages for decades – and she decided it was time to share. Not only did she need to gather all of her artwork, but also decide on a domain name, and get something up there! Gather and optimize a good selection of images, but not too many! Since I have all of the technical expertise necessary, Les did not have to worry about a thing. After identifying a simple design look together (via phone and email), I gave her guidance on image sizing and text content needed. 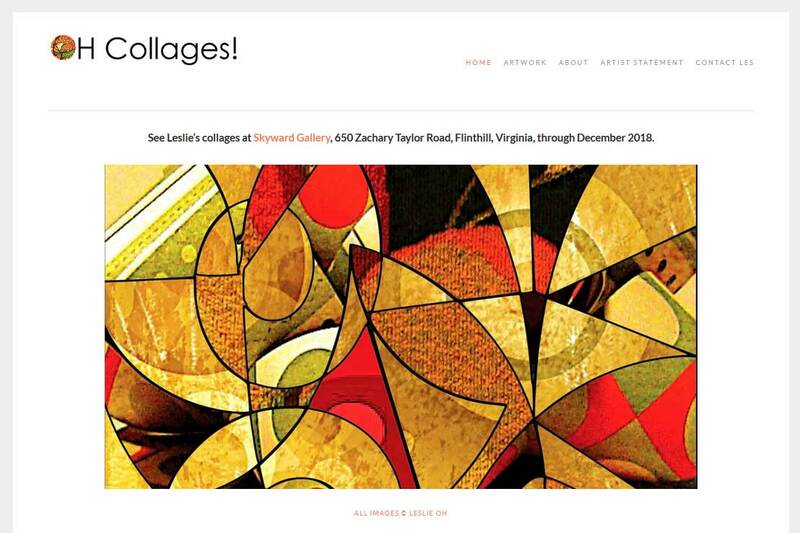 Within a month, Les went from no name and no site to a fully-functioning online gallery, including a contact form and link to her current showing.